Do you Believe in life after love? Or just looking for a Big Spender? Well come out to Looking4Now!! 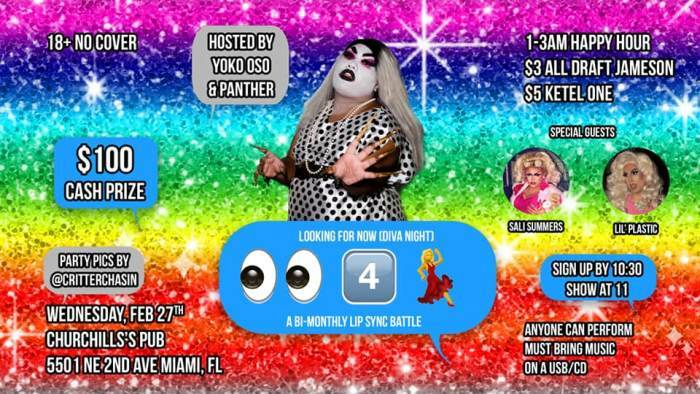 This week’s theme is Pride inspired and our contestants will have to pay homage to their favorite Divas of Queer Culture. DM me to compete as we have LIMITED spots left!! Special guests: Sali Summers and Lil Plastic! !